Every year about this time, I get calls from lay and clergy leaders who want help writing a mission statement. They hope that with a clearer sense of mission, their congregations will stop reliving yesterday and start building tomorrow. I think they’re on the right track, and once upon a time I would have joined them in the mission-writing process. But today I usually suggest starting instead with a vision statement. A vision statement draws a picture of a hoped-for future. It answers the question, “What will be different after we succeed at what we’re setting out to do?” The vision points to a specific future moment, so a vision statement is a temporary tool. Mission is important. As I’ve said before, a congregation’s mission is, or ought to be, its “owner.” A good mission statement can support leaders in communicating the core purpose of the organization, making it easier to choose ideas and suggestions that fit, and reject those that do not fit. But it’s not easy to create a mission statement. The politics of writing mission statements tends to produce either an idealistic “bumper sticker” or a catalog of everything a congregation does. Even a good mission statement has no value unless leaders use it to help decide which “good” ideas to accept and which to reject. If a congregation’s sense of mission is weak, mission-writing rarely fixes it. That’s why, in recent years, I rarely help write mission statements. Today I’m more likely to help write that list of one, two, or three priorities—what in Governance and Ministry I call the Annual Vision of Ministry, or AVM. This kind of vision statement takes the form of a short list of big goals—steps the congregation means to take toward the fulfillment of its mission. 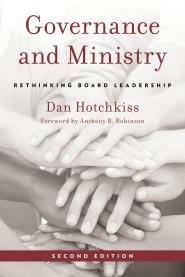 You can read more about creating AVMs in chapter 8 of Governance and Ministry. I recommend that boards develop a new AVM each year. The AVM grows out of a yearlong conversation hosted by the board and clergy leader, with voices from the congregation and beyond. After the board adopts it, the AVM guides budgeting, fundraising, and the work of staff and volunteers throughout the year. Advance our ministry with 6-12 grade students to support their spiritual formation and encourage them to form their own connection to church and faith. Engage with the community beyond our walls. We mean to step up in hands-on service to our neighbors. At the same time, we intend to strengthen our support of our members’ social-justice advocacy work. Make our congregation more accessible. We are concerned by our church’s reputation as socially and economically exclusive. We intend this year to create new and enhanced entryways leading to deep Christian engagement and growth for a wider diversity of people. Build spiritual community. We have welcomed many newcomers in recent years, and see a need to integrate musicians, families with children, retirees, and others. To this end, we plan to find new ways of helping people to be better acquainted and more deeply engaged, and in doing so will provide greater opportunities for spiritual exploration and nurturing. Pay our own way responsibly. Over the last several years, our church has assembled a first-rate staff team whose work has helped us grow in numbers and enthusiasm. In the process, our expenses have gotten ahead of our financial giving. This year we intend to move decisively toward balancing our budget and will start by educating ourselves about what it takes to be fiscally responsible. Learn from newcomers. This year we will pay close attention to our visitors and prospective members, in order to prepare ourselves to become more welcoming. Part of this learning will take the form of new experiments in hospitality. All of these vision goals are “mission-driven” and somewhat abstract, in a good sense: they point to results rather than methods; each could be accomplished in a variety of ways. Each goal is meant to be reasonable for a one-year timeframe, and clear enough that it will be possible to say whether it has been accomplished or not. Choosing a goal for the Annual Vision does not mean other things won’t happen during the year. The Annual Vision of Ministry, once it is adopted by the governing board and clergy leader, lists the top priority goals—goals the congregation means to accomplish, no matter what. If I had to choose between a congregation with an excellent mission statement and a congregation where the leaders all can tell you the top priorities for the current year, I’d choose the latter. A good mission statement is inspiring, but a concise list of mission-driven goals helps you decide what you are going to do today, tomorrow, and the next day. 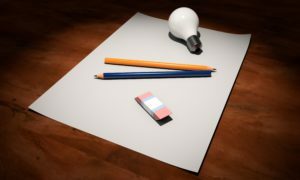 Interestingly, some of the best mission statements stem, not from abstract thinking, but from a regular practice of envisioning concrete goals, trying to accomplish them, and reflecting on success or failure. In effect, the congregation says, “This is what we’ve done, and here is what has made us feel that we were closest to fulfilling our true purpose.” Vision can come out of mission—but just as often, it’s the other way around.